I don’t have enough resource to split CAS and Mailbox Role. If you don’t need a huge infrastructure, you can do same thing as me. Now I’m ready to install Exchange Server 2010 SP1. It’s an exe file. You should extract it first. For your information, for the Hosted Exchange infrastructure, you should install SP1 by command line. 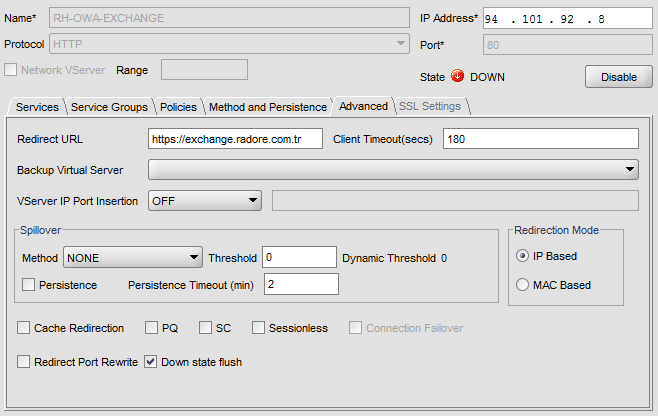 There is no option on GUI for Hosted Exchange. After required features installation, you should restart the server. When restart is completed, install Office 2010 filter pack. Open a command prompt windows (CMD) and type install command. Do you see differences between Exchange Server 2010 and Hosted Exchange 2010? Yes, in the Hosted Exchange configuration, you see a new unit called ConfigurationUnits. Btw, installation is going on well..
And finally, we finished our first server installation. Now we have a Hub Transport server. I’ll do same thing to my second Hub Transport server. After installation, I’ll will make them load balanced servers. I’ll show how to load balanced them later. Next, I’ll start setup of CAS and Mailbox Server. As I said, they will on the same server because I don’t have so many resources. Also as you know, much servers means much license prices. I use CMD again for the installation. But before the installation, install required updates. You don’t need to reboot your server after updates. If you don’t install required updates, Exchange setup fails. If you installed all required features, then setup would finish without errors. After setup completed, you have to reboot your server. 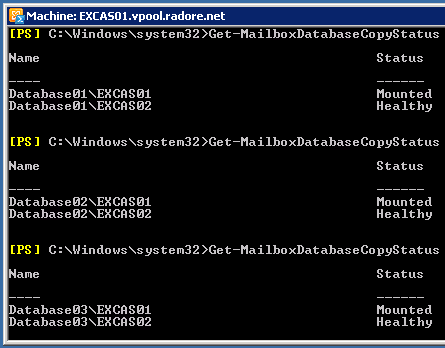 Now go to second server and do same processes to other CAS + Mailbox Server. If you finish installation of second server, we can continue with configuration of our Hosted Exchange environment. If you followed, at the Part 1, I installed two CAS + Mailbox Server and two Hub Transport Server. At the second part, I’ll configure Database Availability Groups between my two Mailbox servers. First of all, you have to install Failover Cluster feature from Server Manager. After that I need to create Database Availability Group. I have to choose a Witness server. Witness server should be Hub Transport server in a recommended environment. So I choose it as my first Hub Transport Server called EXGW01. You should execute this command on Exchange Management Shell. After the command, lets check our DAG. As you see, I don’t have any member servers right now. I’ll join my Mailbox servers to DAG. After adding first mailbox server, you can check your witness file directory. It should be created by Exchange DAG. Now let’s add second server to DAG. 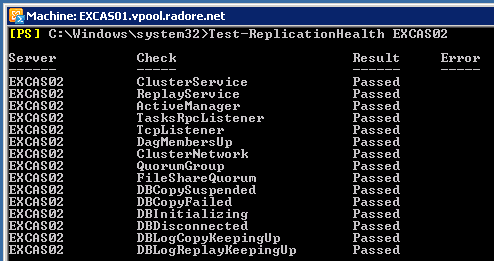 Also our cluster is created on Failover Cluster Manager. But as you see there is no network right now. So we should add them. So we don’t have any network for DAG. Let’s create them now. We should have 2 different networks. One is Public, other one is Replication network. On my environment, I use Replication network as a Backup Network. I’ll backup my Exchange servers with Microsoft System Center Data Protection Manager 2010 using replication network. After configuration of networks, we should configure Group IP. As you see our DAG name is active. Also our networks are active. So now we can add our second server to DAG. Ok, our second server is active on DAG. After second server, also our witness file share is active. I configured the DAG and networks. Next, I’ll create 3 different databases for customers. I created the databases. Now I should check databases status. Thats a replication issue. Don’t worry about it. Let’s make them available. So let’s move default mailboxes to new DAG databases. So we moved all default mailboxes. Now we can delete default mailbox databases. We completed our steps. As a final step, let’s check replication health status. Now we have 3 databases and a fully working DAG environment. At the next part, I’ll show you how to create mailboxes for customers. Then we will see how to backup databases with Data Protection Manager 2010. At the part 2, we configured mailbox databases. Also we made them high available with Exchange DAG. As the first part, I’ll load balance Exchange OWA. Add your first CAS server as a service in Citrix. Do same thing for the second CAS Server. 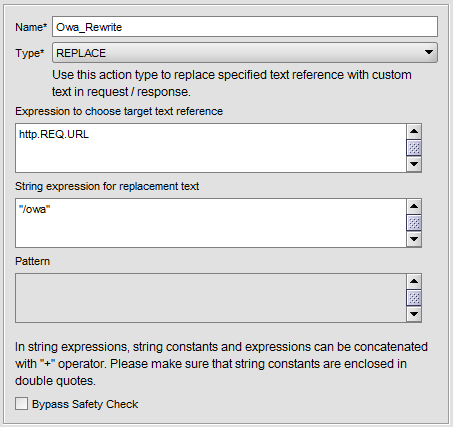 Now, go to EXCAS01 and create certificate request for OWA. Buy your commercial certificate and save certificate code to C:\cert.txt. Assign IMAP, POP and IIS services to certificate. Don’t forget to use your own Thumbprint. As you see, services are assigned to new SSL certificate. We will export our certificate and import it to second CAS server, EXCAS02. Now import same certificate to Citrix Netscaler. Navigate to SSL and click import PKCS#12. 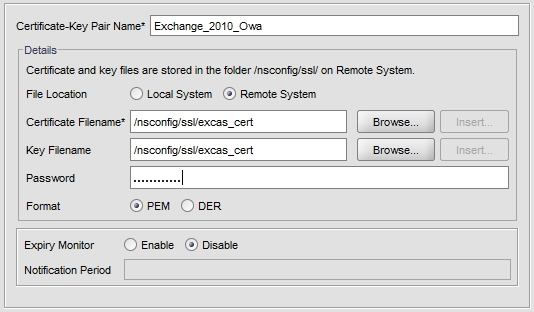 Choose your pfx file and give a name like excas_cert for local usage. Then navigate to SSL -> Certificates and click Add. Now navigate to Rewrite -> Actions on Netscaler and click Add. Navigate to Rewrite -> Policy and click Add. We finished pre-required steps. Now navigate to Load Balancing -> Virtual Servers and click Add. Click Create and finish SSL Virtual Server Load Balancing. Now lets create another Virtual Server to redirect HTTP requests to HTTPS. Navigate to Load Balancing -> Virtual Servers and click Add. Give same NLB IP Address. Choose HTTP and port 80. Do NOT choose any service. Click Create and finish HTTP Virtual Server Load Balancing. Because of you don’t select any service, Virtual Server should seen as Down. Clear “Require SSL” and click Accept from SSL settings. Do same things for: OWA, EWS, ECP..
All virtual directories should accept non HTTPS traffics. Wadaaaa! We finished Citrix Netscaler Load Balancing for OWA. Next Part, We will see how to configure CAS arrays and Hub Transport server load balancing. At Part 3, We configured OWA service and SSL certificate. This part, we will configure our 2 Hub Transport servers, EXGW01 and EXGW02. I’ll use Citrix Netscaler again to make a load balance between them. Get-ReceiveConnector "Inbound *" | Add-ADPermission -User "NT AUTHORITY\ANONYMOUS LOGON" -ExtendedRights "ms-Exch-SMTP-Accept-Any-Recipient"
Execute same command on EXGW02. 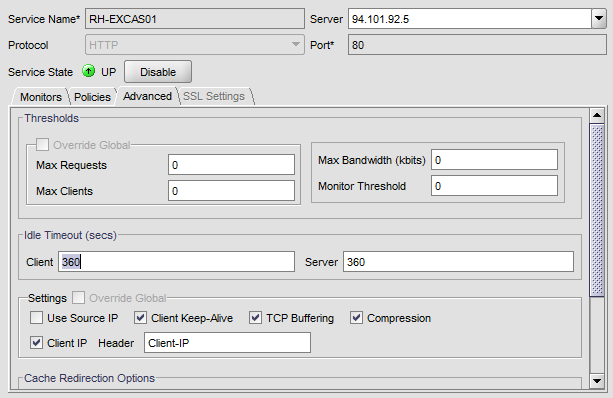 Configure load balancing on Citrix Netscaler. First add service definition as TCP – 25 for EXGW01. Assign SMTP services to certificate. Don’t forget to use your own Thumbprint. We will export our certificate and import it to second Hub Transport server, EXGW02. 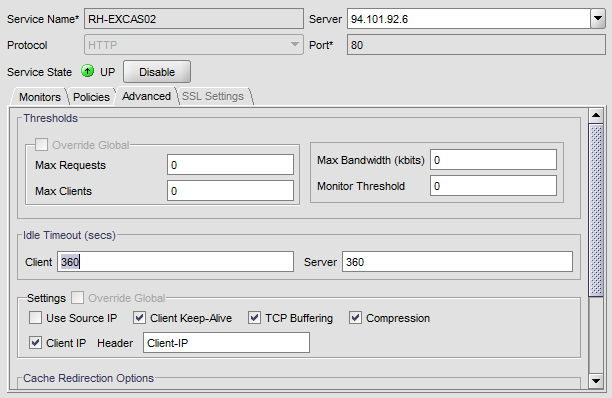 Go to Citrix Netscaler again and create a Virtual Server for SMTP. Choose SSL as protocol and 443 as port number. Configure LB method as Least Connection. Bind SSL certificate to virtual server. Also you can add HTTP, 80 as another Virtual Server. Please follow Hosted Exchange 2010 Part 3 for how to add HTTP 80 Virtual Server. 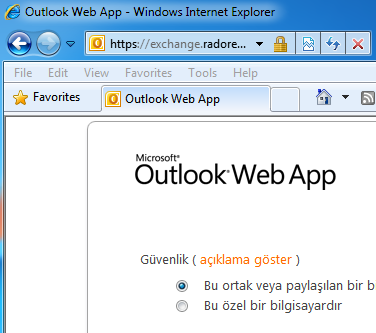 Go to EXGW01 and EXGW02, open IIS manager (inetmgr) and navigate to SSL Security for Default Web Site. Clear “Require SSL” and click Accept from SSL settings. Wadaaaa again! We finished Citrix Netscaler Load Balancing for Hub Transport Servers. 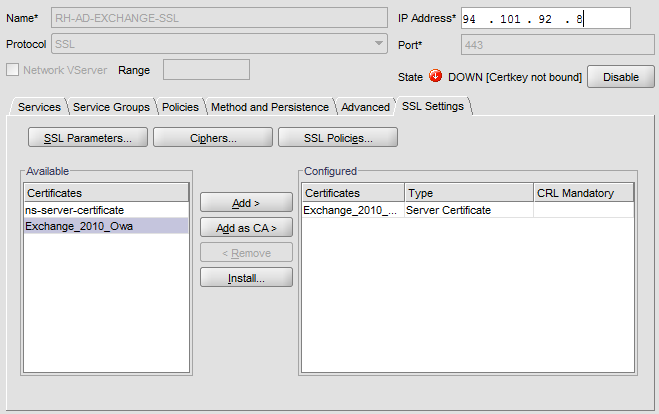 Next Part, We will see how to configure Forefront Protection 2010 for Exchange Servers. 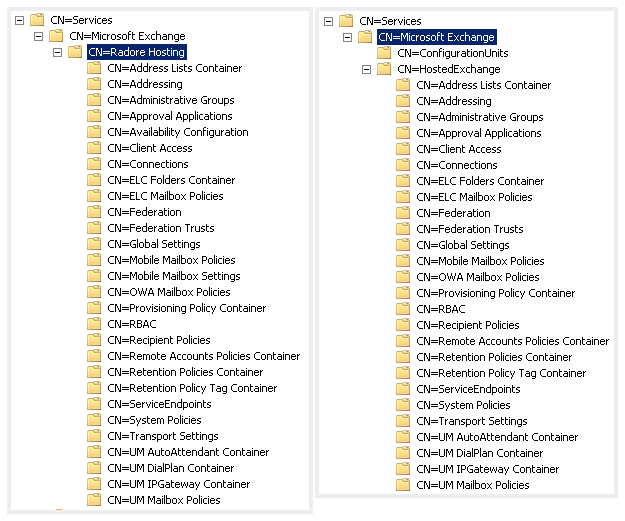 Last parts of guide, I configured Exchange server roles. We have 2 Mailbox + CAS Servers and 2 Hub Transport servers. I made load balanced CAS servers and Hub Transport server with Citrix Netscaler Hardware Load Balancer. 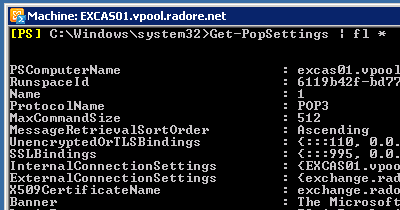 Now this part I’ll configure CAS arrays, IMAP, POP and SMTP services. Also I’ll show you configuration of Forefront Protection 2010 for Exchange Server. First of all, go to EXCAS01 and create a new CAS array. New-ClientAccessArray -Fqdn "exchange.radore.com.tr" -Site "Default-First-Site-Name"
Okay, we created our CAS array and assigned a database to it. 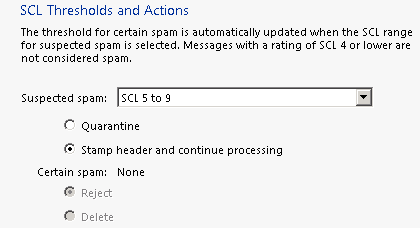 Now we should configure POP and IMAP settings for client access. We use PlainTextLogin because you can’t get Authenticated with SecureLogin in Hosted Exchange environment. So you should use PlainTextLogin. But don’t worry, we use Citrix Netscaler to secure connection. We finished changes on POP, IMAP and Outlook Anywhere. Don’t forget to do same steps on EXCAS02. Now it’s time to configure SMTP. Now go back to EXGW01 and EXGW02. Also you should change binded ip address of Inbound SMTP Array. Be sure to choose SOURCEIP for load balancing. After this, you can start to test POP3 and IMAP connection via Outlook. You shouldn’t choose any encryption method like TLS or SSL because of Hosted Exchange AD structure. Now I’ll show you how to configure Forefront Protection 2010. I installed Forefront on EXGW01 and EXGW02. You can leave default other options and services of Forefront Protection. I finished this part. Next part, I’ll show you how to create organizations and users. 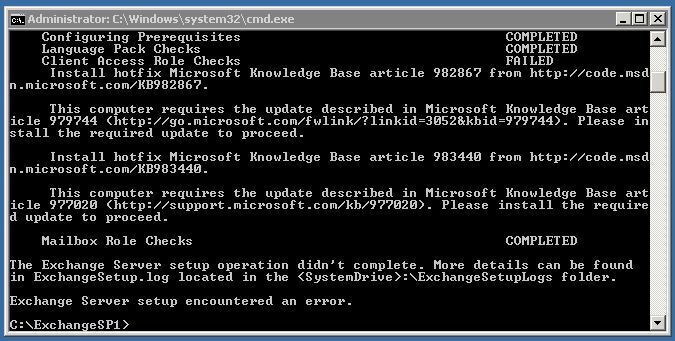 But if you did exact same steps with me, that means you have a fully working Hosted Exchange 2010.